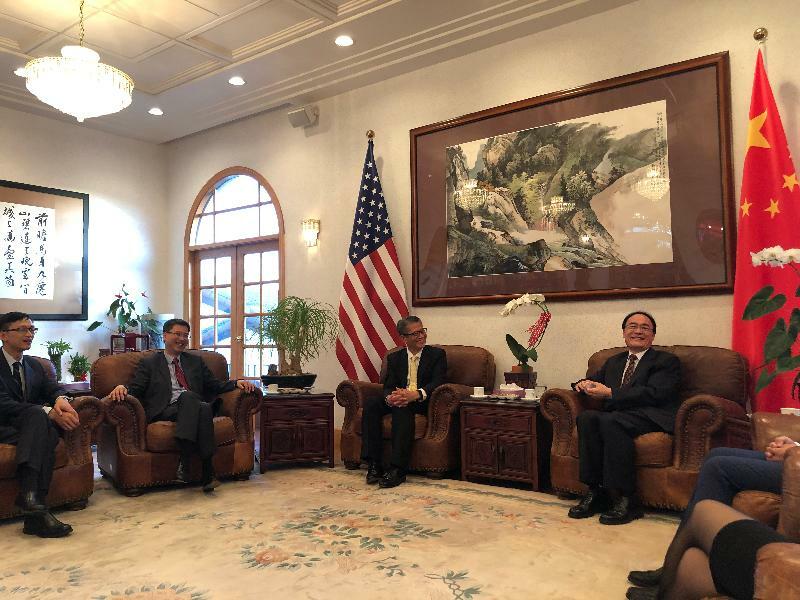 The Financial Secretary, Mr Paul Chan, today (April 10, US West Coast time) began his itinerary in San Francisco, the United States, and met with senior management of different innovation and technology (I&T) companies to promote I&T co-operation between Hong Kong and the US. 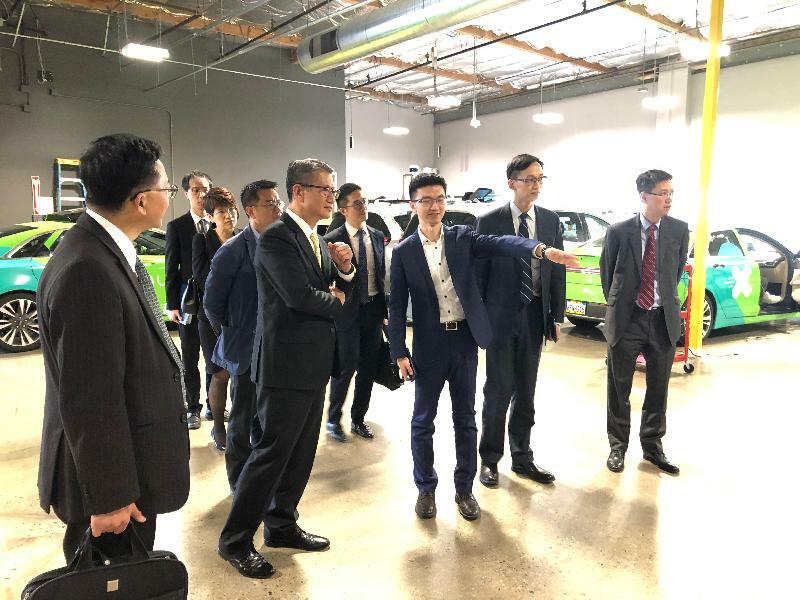 This morning, Mr Chan discussed the latest development trends of automation and artificial intelligence (AI) with the senior management of Automation Anywhere, a robotic process automation software developer company. With offices in various cities globally, this company offers services to help different industries to improve operational efficiency through automation. He said that the Hong Kong Government has devoted resources to take advantage of the convenience and the huge opportunities brought about by the development of AI and robotic technologies. Apart from allocating $10 billion to the Hong Kong Science and Technology Parks Corporation (HKSTP) to enhance support for its tenants and incubatees, it has provided funding of $10 billion to establish two innovative clusters in the Science Park, which focus on healthcare technologies as well as AI and robotics technologies, he added. He encouraged the company to further enhance collaboration with local industry players. 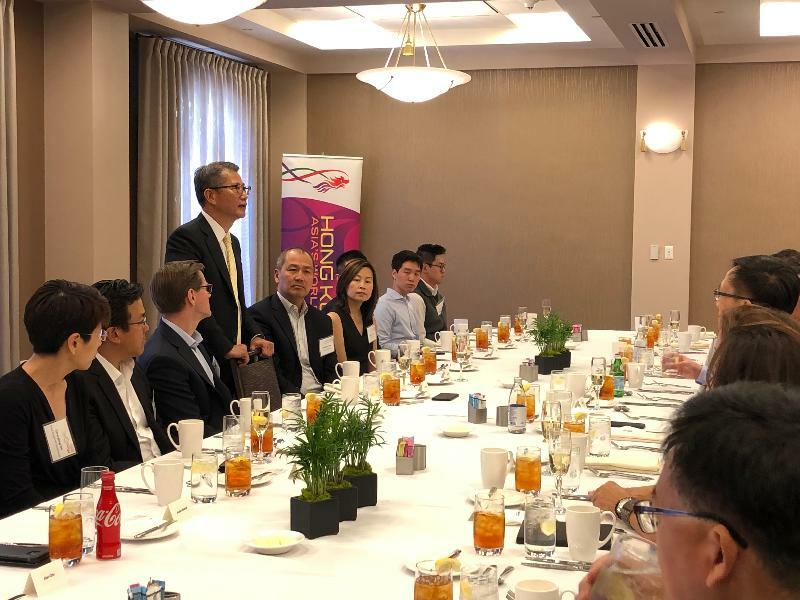 Over a lunch with representatives of major venture capitalists in Silicon Valley, Mr Chan gave an overview of the financial and professional support to start-ups at different stages of their development, listing regime of Hong Kong that attracts the new economy sector and the initiatives to attract private equity funds to set up and operate in Hong Kong. Noting Hong Kong’s fast growing start-up community currently has more than 2,600 companies, Mr Chan said they are welcome to go to Hong Kong for investment opportunities. 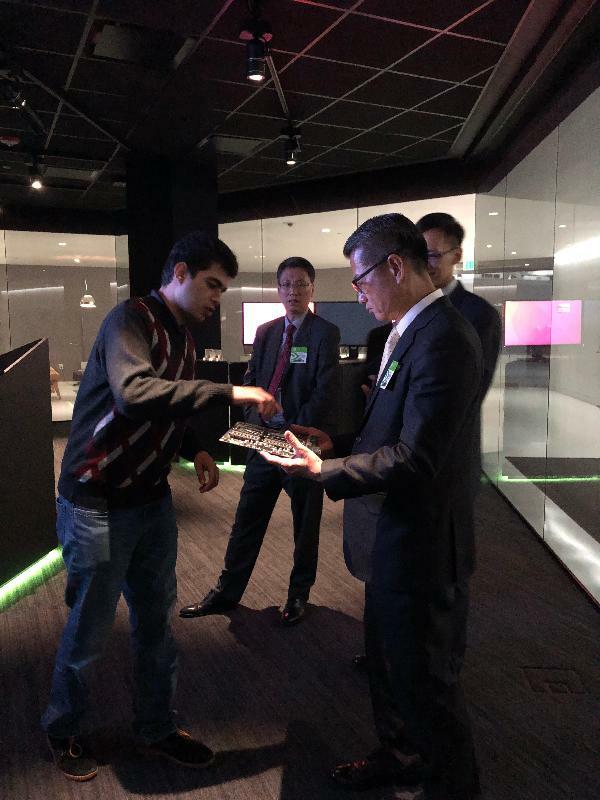 He then visited NVIDIA for an update on the recent developments of the application of AI. 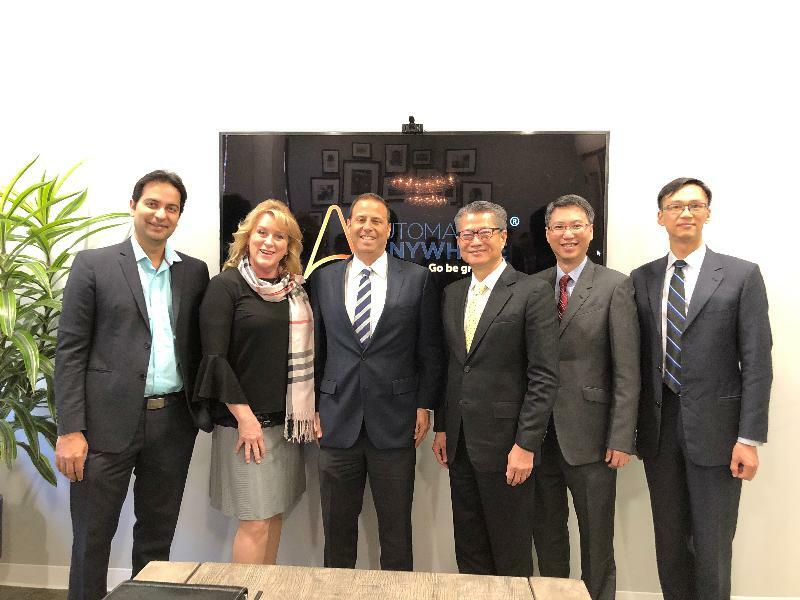 The company is one of the technology partners involved in setting up the Data Analytics Platform with the HKSTP to help enhancing data development in Hong Kong and drive smart city development. 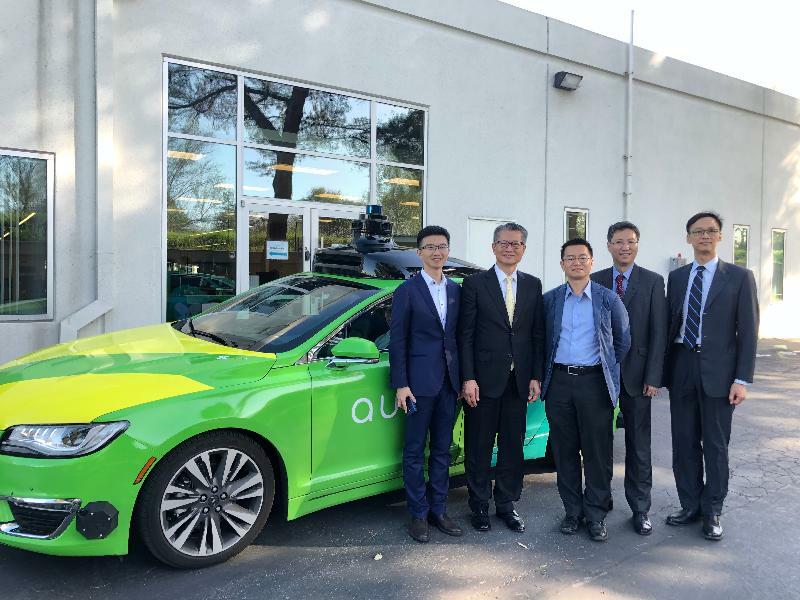 In addition, Mr Chan met with the top management of AutoX, a developer of autonomous driving technology, and deepened his understanding of the latest developments of the technology. Given that the founder is a graduate of the Hong Kong University of Science and Technology, Mr Chan encouraged him and his company to take part in promoting smart city development in Hong Kong. Mr Chan then paid a courtesy call on the Consul General of the People's Republic of China in San Francisco, Mr Wang Donghua. He will continue his itinerary tomorrow (April 11, US West Coast time).